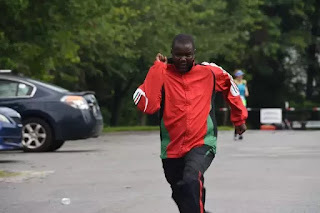 Uasin Gishu County Governor Jackson Arap Mandago emerged the winner in a 10 kilometer marathon held in Washington DC in the US. The marathon which was organized by the kalenjin community living in the US attracted the governors who were in the US attending an investment conference. According to the statement from the county government, governor Mandago emerged the overall winner in the Gotabgaa 10 kilometer marathon beating other governors from the Kalenjin community. Mandago was competing against fellow county leaders Elgeyo Marakwet Governor Alex Tolgos, West Pokot Governor Simon Kachapin, Baringo Governor Benjamin Cheboi, Trans Nzoia Deputy Governor Dr Stanley Tarus as well as Nandi Deputy Governor Dominic Biwott among others. The leaders were in the US to attend the annual Gotabgaa US-Kenya Trade and Investment Conference and were called to compete in the marathon.